Technology is an enabler for economies all over the world especially for developing economies. IT has created new industries like Digital Marketing, Data Sciences, Mobile Money ecosystems like agents etc. In 2013, the global tech market grew by 8%, creating jobs, salaries and a widening range of services and products. Statistics show that a 10% increase in broadband penetration is associated with a 1.4% increase in GDP growth in emerging markets, these numbers also reflect in the use of Mobile money and GDP growth in countries where it has taken off. The Internet and Mobile money has created new types of products and transactions along with easier ways of reaching customers and lowering the cost of services. If in fact that Technology is an enabler for economies why are our educational systems failing the very graduates who will usher Ghana into the technology age? I have interviewed over 100 developers over the last couple years, and honestly, finding a good developer takes 4-6 months (This is horrible for developing any sort of a strong technology ecosystem). It is even worse when you are looking to hire entry level developers because most of the computer science graduates our universities are churning out are short of the industry standards employers seek. If we (as a nation) care about using technology to grow the Ghanaian economy, then we must be more concerned about educating the workforce (at the entry level especially) to progress the technology agenda. Over time it’s much more effective to hire an entry level mathematics graduate or graduates from courses that stress on problem solving and critical thinking and then have them develop the programming skills in-company. I write this article from the perspective of a tech entrepreneur, founder of women in tech Africa, someone who has sibling currently studying for a computer science degree and as someone frustrated with the quality workforce available to Ghanaian technology entrepreneur. 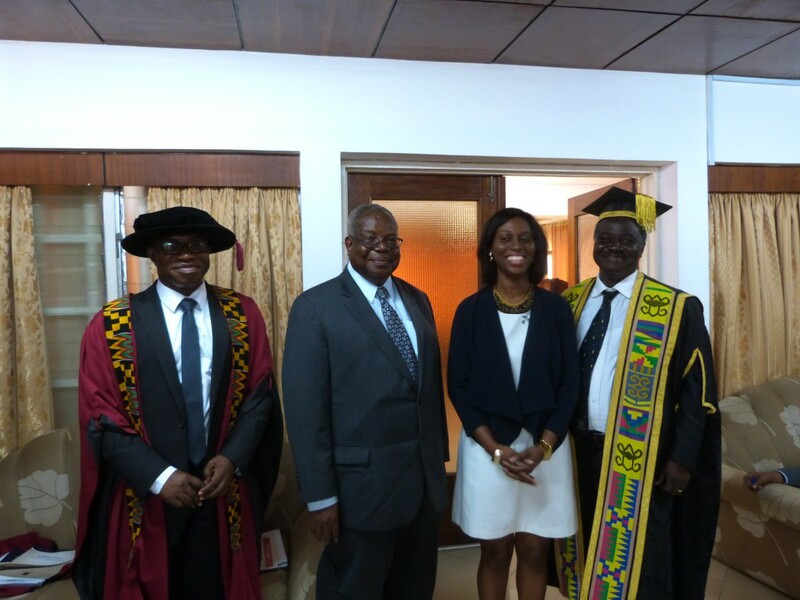 This is written to give students or current graduates a road map to help themselves – from my perspective the educational institutions have woefully failed them, here are my 2 truths and 2 pieces of advice to technology graduates all over Africa specifically Ghana. [Truth]The degree and Internships does not mean much to an employer, frankly I ask for list of projects worked on before a candidate is even progressed to a face to face to interview. [Truth] You are not competing only against the classmates you graduated with, you are competing against the 14 yr old boy in California who is building software that triggers video recording in his bedroom when the door is open because he is sick and tired of his little brother borrowing all his stuff. Yes he has better access and opportunities than you because your educational system has failed you but the alternative to not competing will only widening the skills divide. Silicon valleys is importing skills from all over hence geography is no longer a stumbling block. The 10,000 hours rule is a concept popularized by Malcom Gladwell in his book outliers stating that the key to achieving world class expertise in any skill, is, to a large extent, a matter of practicing the correct way, for a total of around 10,000 hours. Is there an uncle, parent, relative you can work on an IT related project for, or is there a problem you have that you want to solve then donate your skills to solving it. If you don’t have any of the above, I propose you sign up to become a contributor for an open source project. As a contributor you are encouraged to submit additions to the software, code fixes for the software, bug reports, documentation. If it is a good project your contribution will be reviewed by experienced techies from all over the world and yes your initial contributions will be rejected because the quality will probably be bad but if you keep learning and contributing, fairly soon your code will improve. It will provide you exposure on what good quality work is, in your chosen sphere. I am more likely to hire you for an entry level if you can demonstrate you care about your career and hence have taken initiative. PostgreSQL: PostgreSQL is a well-established open source object-relational database system. The traditional pen-and-paper way of learning falls short for technical subjects. Games, however, are all about engagement — which is why the founders of CodeCombatwent about creating a multiplayer programming game to teach people how to code. Storjis a peer-to-peer cloud storage network that implements end-to-end encryption, enabling users to transfer and share data without reliance on a third party. Based on bitcoin blockchain technology and peer-to-peer protocols, Storj provides secure, private, and encrypted cloud storage. I have been in far too many interviews where candidate did not know how to conduct themselves. Everything from turning up late, being rude to my assistant and not reading about the company before they showed up. That’s a NO NO. Give yourself the chance to get the job! Dear graduate, give your self a chance to succeed and be the very best in your career. Dear educators and educational Institutions stop failing the generation and preventing Ghana from actually progressing into the information age. 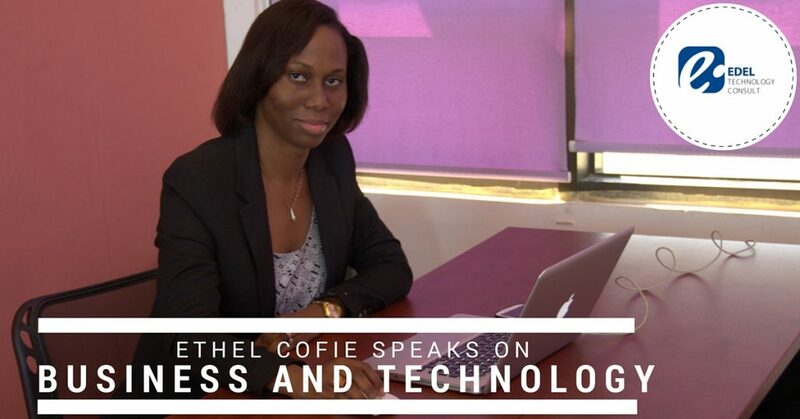 Named one of the Top 5 Women impacting IT in Africa,Ethel Cofie is CEO and Founder of EDEL Technology Consulting , an IT Consulting and Digital Products Company in West Africa and Europe who was recently named IT Consulting Firm of the year by the Telecoms and IT Industry . She is also Founder of Women in Tech Africa , Africa’s largest women in tech group with members in over 30 Africa countries and physical chapter in Ghana, Kenya and London and growing . She also sits on numerous boards of numerous companies in Ghana, Nigeria and South Africa and has ambitions to grow EDEL Technology Consulting to the whole of Africa . I like the tip about interviews its very true most seem not to be prepared about interviews. they get so excited about the interview they are called on ,thinking they have gotten the job already but its the interview that test your worth and ability to deliver to the company. we should all take note of these I guess this is very useful . This shows us students , graduate we should be more proactive in what we learn and extend our learning skills within and outside .